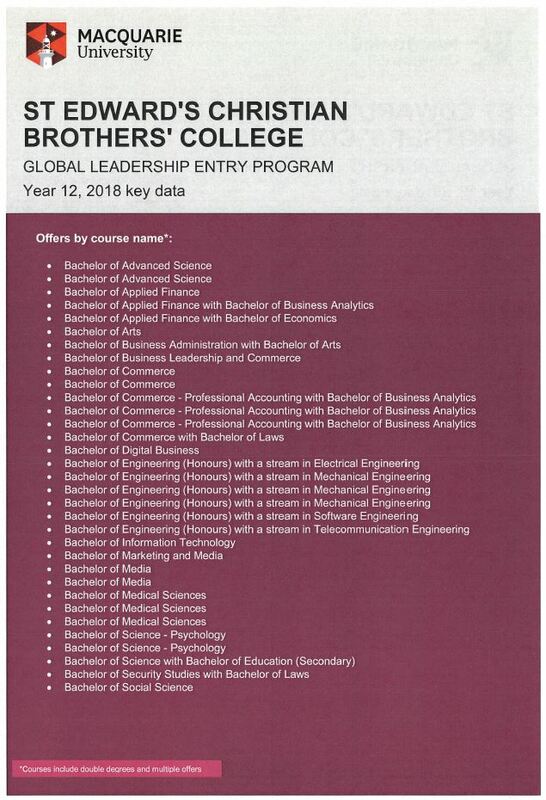 Congratulations to the 29, Year 12 students who received early entry to Macquarie University through the GLEP Program. 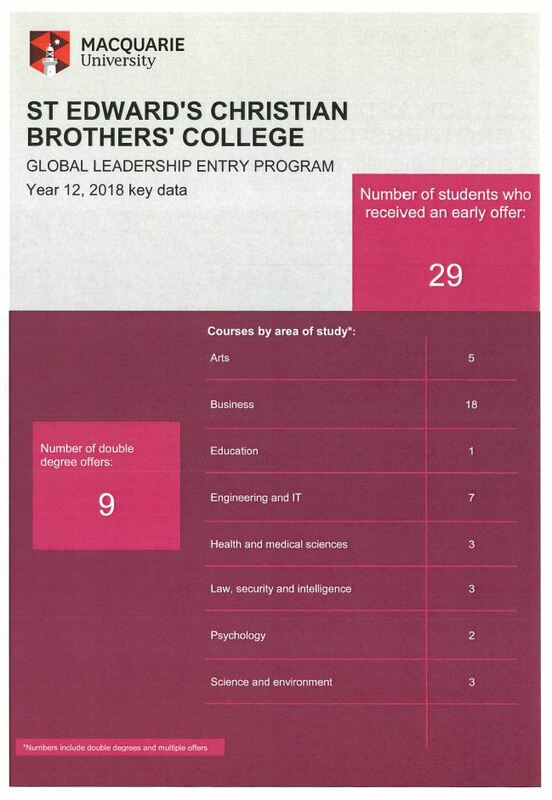 St Edward’s College had the second largest number of students on the Central Coast who were offered places, behind Gosford High who had 32 students. Below is the breakdown of courses by area of study that was offered.